The York Federation of Students provides various services to undergraduates. You can find detailed information about resources available to you as a student, through YFS by navigating below. Read about the health plan, including vision and dental benefits. There is also info for the on-campus food bank, opportunities to work abroad, advocacy for student rights and different discounts on services, products and entertainment. The YFS develops and distributes over 20,000 Member’s Handbook and Day Planners annually for Free for all members. Keep an eye out for it during events in the first week of school or at the YFS Member Services office. The Member’s Handbook and Day Planner is created through the Canadian Federation of Students’ ethical bulk-purchasing network and contains information on the school, services, the YFS, and allows students to stay organized! The Good Food Box is a way for student, faculty and staff to have access to fresh and organic produce conveniently on campus and at a low cost. Throughout the year, a variety of in-season fruits and vegetables, which are grown in Ontario whenever possible, are packed in recyclable containers and sent off to over 200 pick-up locations across the city. There are many types of boxes that can be ordered to suit the needs of individuals and families who want to stay healthy. The Good Food Box is run through FoodShare Toronto. For more information on how to order your Good Food Box at York University, drop by our Member Services Office Room 106 Student Centre, or contact services@yfs.ca. In 2008, when Torontonians were seeing TTC fare hikes across the board, YFS in coordination with students from across the GTA fought hard for the implementation of the discounted Post-Secondary Student Metropass. Following this success, YFS has been dedicated to working to secure a Universal MetroPass (U-Pass) for all students in the GTA at an even further reduced price. At the current time, students are still able to get their Post-Secondary Student Metropass at a cost of $116.75 at the YFS Members' Services Office located on the first floor of the Student Centre in Room 106. We also offer discounted TTC Tokens at 5 for $15.00, and TTC Day Passes for $12.50. Through your membership with the York Federation of Students (YFS), and therefore with the Canadian Federation of Students (CFS), students are able to take advantage of Canada's #1 online tax preparation website, U-File, for FREE! U-file provides free online tax preparation and filing for all York Students. For more details, please visit www.ufile.ca. 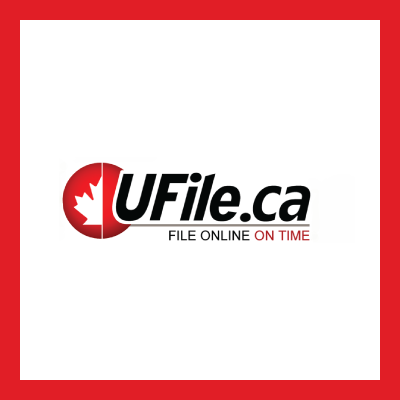 U-File is now available year-round, giving students more flexibility without extra fees. Use Code CFS1981 to access U-file. Established in 1975 with a small exchange in New Zealand,the Student Work Abroad Program (SWAP) is now Canada's largest international exchange program.SWAP provides students with the means to combine periods of employment with time for exploring their host countries. By living and working in another country, a SWAP participant has a greater opportunity to learn about the people, lifestyles, and cultures of the host country. SWAP offers programs in eleven countries including: Australia, Austria, Britain, France, Germany, Ireland, Japan, New Zealand, South Africa, South Pacific and the United States. Participants pay a registration fee, and receive all necessary working papers, accommodation upon arrival, and other services. Most importantly, participants receive support from SWAP staff in Canada and abroad. Acting as a "safety net," staff inform participants of the local job and accommodation market, and help participants with the transition to life in a foreign country. For more information click here. The International Student Identity Card (ISIC) is the only internationally recognized student card. It is an accepted student discount card in over 80 countries. Because of your membership with the York Federation of Students AND the Canadian Federation of Students, the ISIC is free for all members (a regular $20.00 cost)! If travelling abroad, the ISIC provides access to discounts on accommodation, admission to historic sites, museums and entertainment venues. The ISIC is issued to full-time students who are members of the Federation as a benefit of membership. Come by our Member Services Office, Room 106 Student Centre to get your ISIC or click here for more information. Finding off-campus housing can be difficult and time consuming for students. The York Federation of Students would like to help make the process as easy as possible for you. Through our partnership with Places4Students Inc., we provide an online collection of numerous housing opportunities. Places4Students provides students, schools and landlords with the highest quality, off-campus housing service. The website provides a large real-time database of student housing vacancies in the area of the school. Also, an abundance of information about available housing; including photos and text, contact information and property features. We're selling discounted Toronto FC tickets this fall. You can purchase them in our MSO office (Room 106 Student Centre). Being a student is expensive. That’s why YFS is working hard to get you as many discounts as possible both in-person and online. Check out some of our online discounts for the 2015/2016 school year. These discounts do not come through the Member Services Office. Click here to see the full list of school supplies and prices. We've got discounted movie tickets, Ripley's Aquarium tickets, Absolute Comedy tickets and so much more! Visit the Members' Services Office (Room 106 Student Centre) for more info!